Increase the service life of your bearings by up to 50 percent with the plummer block housing SNS. Reduce the total costs of your facilities as part of the total cost of ownership! Schaeffler is setting a new standard with the innovative large-size bearing housing SNS. 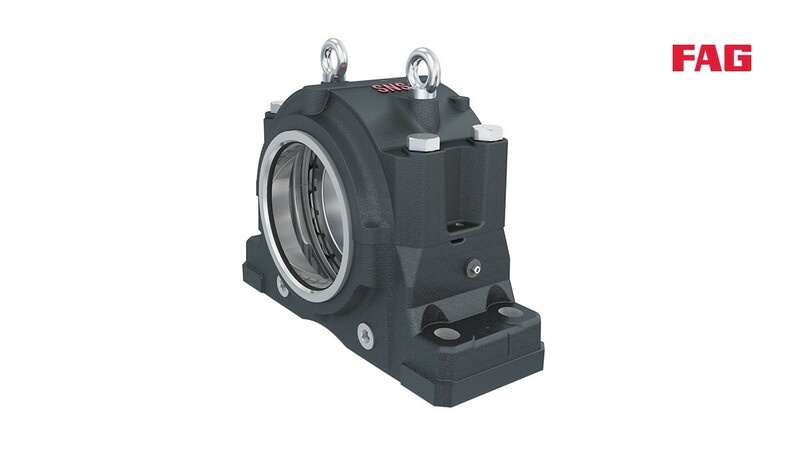 The unique housing design increases the bearing life of the fitted spherical roller bearings by up to 50 percent compared to conventional plummer block housings. This is made possible by the innovative housing design, which ensures optimum load distribution in the bearing. The housing also provides a very high sealing action against the ingress of contamination under extreme environmental conditions. 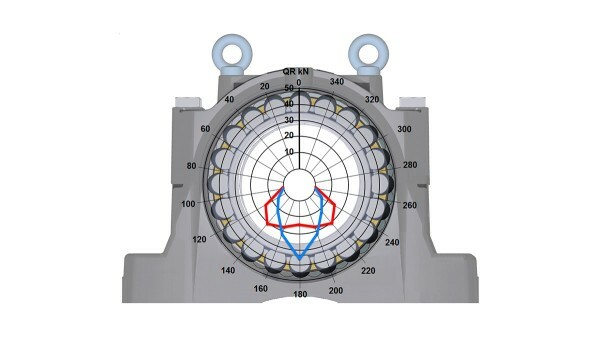 Axial lubrication groove in the upper section of the housing to ensure optimum lubricant supply for bearings in every bearing position ─ for example, with the FAG CONCEPT8. Grease outlet holes supplied as standard simplify maintenance. Numerous details of the new housing design make lubrication, mounting, and condition monitoring much easier. The new housing design distributes loads more evenly in the rolling bearing: The service life of the bearing is increased by up to 50 percent. The new housing design distributes loads more evenly in the rolling bearing: The service life of the bearing is increased by up to 50 percent. Numerous details of the new housing design make lubrication, mounting, and condition monitoring much easier. The focus during development of the new SNS plummer block housing was on compliance with customer and application-specific requirements. Criteria such as increasing efficiency, robustness and improved condition monitoring played a major role. Predefined positions for condition monitoring systems, mounting services and maintenance tools round off the new design. Plummer block housings of series SNS are suitable for spherical roller bearing series 222..., 223..., 230..., 231..., 232... and 240... We supply split SNS housings for shafts from 115 mm to 530 mm and from 4 7/16 inch to 19 1/2 inch diameter. The new FAG SNS plummer block housing increases the operating life of the fitted spherical roller bearings by up to 50 percent. 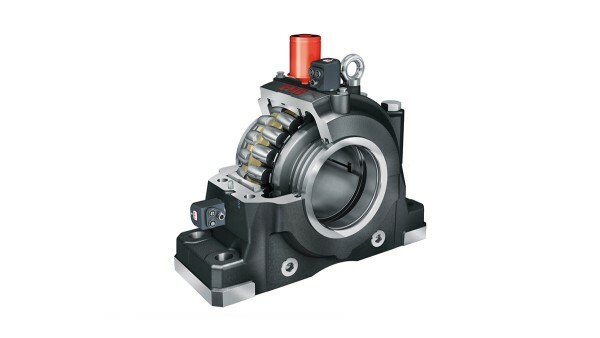 This is made possible by the new housing design, which ensures optimum load distribution in the bearing. The first SNS plummer block housings were successfully mounted by Cemtec, an Austrian company specializing in solutions for the cement, mining and industrial minerals industries. The plummer block housings serve to support the so called pinion shafts that will drive the 60 ton tub mill later on. Due to its unique design, the Schaeffler plummer block housing increases the bearing operating life by up to 50 percent. This reduces the maintenance requirements and the associated downtime.